1. 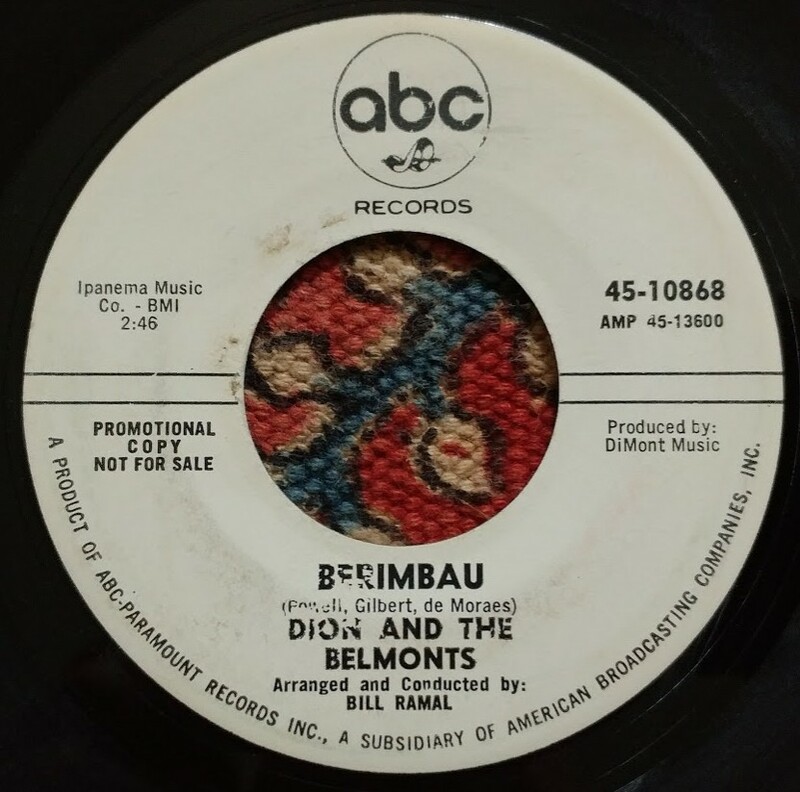 DION & THE BELMONTS-"Berimbau"
A few issues back "Shindig" had a massive Action article in which band associate and music journalist Nick Jones mentioned this 45 as an inspiration to the band's first original A-side "Never Ever". I tracked it down and to my delight he was spot on! Few songs describe "Merseybeat" to me in two minutes like this Liverpudlian tear down of Bobby Comstock's "Let's Stomp". To my ears not only does it surpass the original but it also shows the template for The Milkshakes twenty years later and Edinburgh's The Kaisers another decade after that. 3. 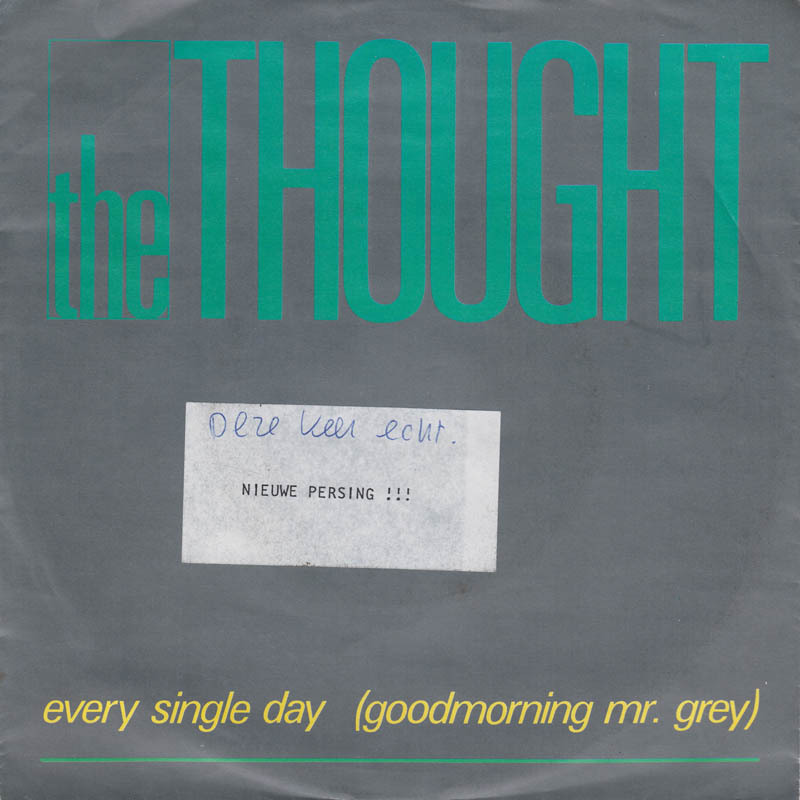 THE THOUGHT-"Every Single Day"
Despite it's decidedly 80's production (and those awful drums!) 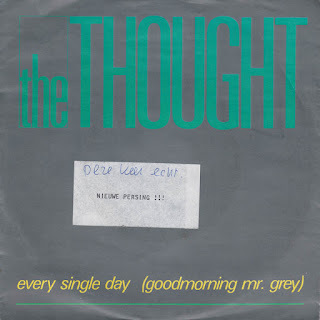 this 1984 track by Holland's The Thought still has it's charm in a corner of my nostalgia, especially the ethereal backing vocals mid section. 4. JOHNNY "GUITAR" WATSON-"Cuttin' In"
First brought to my attention via a cover by UK 60's r&b'ers The Paramounts over three decades ago, this sedate '61 smoker from the King label jumped out at me a few weeks back on a Johnny "Guitar" Watson LP comp on the legendary Charly R&B label, now to find the single! 5. JOHNNY & LILY-"Suffering City"
This Huey P. Meaux produced cut from 1970 easily sounds like something from three or four years earlier, almost like an Ike & Tina number to my ears, regardless of what it sounds like it grew on me. Though the Jam and XTC seemed to rule the roost for social commentary on the British music scene in the late 70's/early 80's The Specials proved they were just as capable and it's best exemplified by this seething/scathing dig at the social pecking order. 7. THE ASSOCIATION-"You Hear Me Call Your Name"
100 mph drumming (probably Hal Blaine!? 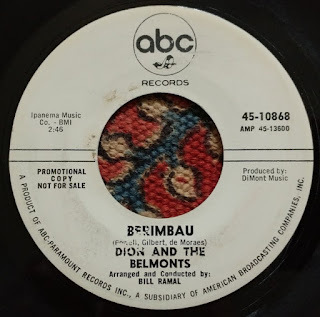 ), buzzing twangy guitars and above all the celestial, soaring harmonies make this track from The Association's second album "Renaissance" one of the long player's strongest in my humble opinion and probably their grittiest before record company demands softened their sound. 8. THE WHO-"It's Not True"
For eons I always viewed this track from "My Generation" as filler of sorts, but the older I've grown I have come to accept it as proof positive that Pete Townshend was one of the most idiosyncratic composers of the beat boom. From it's offbeat lyrics to it's pop art Rickenbacker power chordings neatly nailed down by Nicky Hopkin's piano and Keith Moon's slapdash drumming it's become one of my favorites from the LP. 9. 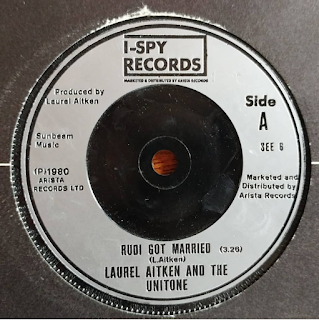 LAUREL AITKEN & UNITONE_"Rudi Got Married"
Imagine this, it's 1980 and Laurel Aitken, the godfather of ska cuts a 45 with The Ruts backing him (as The Unitone) on Secret Affair's label I-Spy! 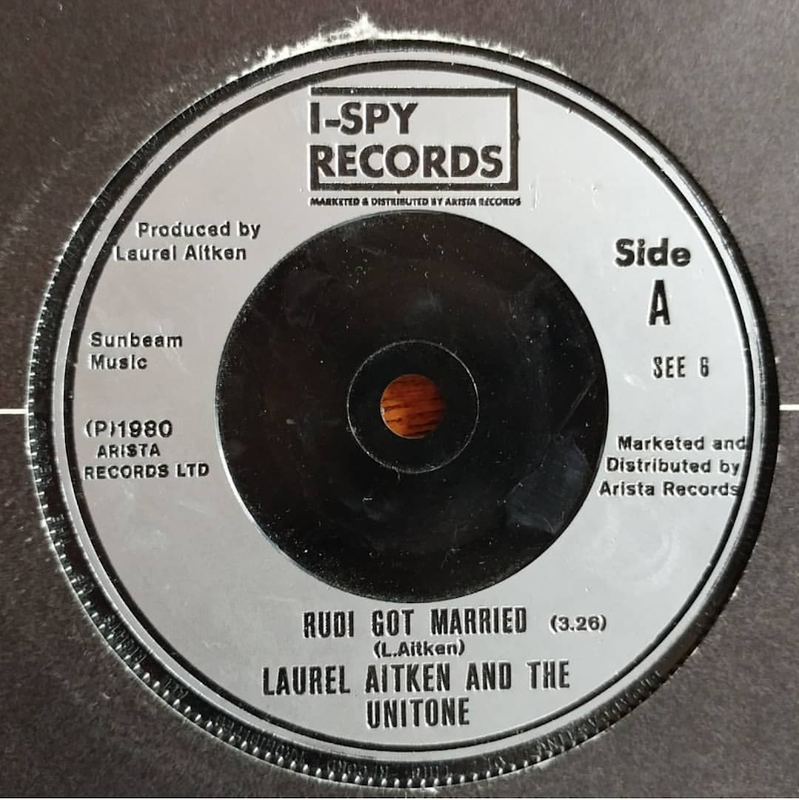 True story (though I can't be 100% about the Ruts/Unitone thing..), this 45 could easily have been an obscure 2-Tone 45 and it totally fits in the '79/'80 U.K. ska genre. 10. BYRON LEE AND HIS DRAGONAIRES-"Green Onions"
This 1964 Booker T cover owes a great deal to Georgie Fame and The Blue Flame's interpretation. Despite Byron Lee cutting a host of ska and calypso tunes this track owes nothing to either genre and is nothing short of moody, moddy funky r&b.